Attijariwafa Bank-Egypt achieved a 31% growth in total loans by the end of Q3 2017, after the bank registered growth in corporate loans by 38% to reach EGP 8.6bn, up from EGP 6.3bn at the end of 2016. According to the bank, these results were achieved after the bank adopted a new growth strategy and portfolio diversification in several economic sectors, including real estate and construction, electricity and renewable energy, food, finance leasing, microfinance, and financial institutions. 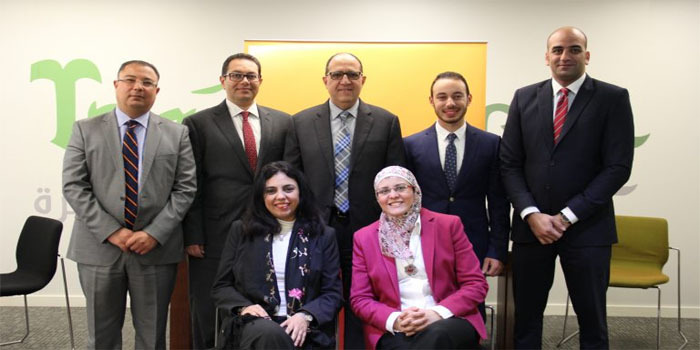 The bank’s corporate finance and loans team has made a number of achievements during the past period, which support the bank’s position and enhance its ability to support these critical sectors of the Egyptian economy. Tamer Ragheb, corporate banking director, said that the bank’s asset portfolio is diverse and serves the country’s strategic direction, adding that they are diversifying its products and attracting customers from new sectors. “As part of the Attijariwafa Bank Group, we are facilitating the commercial communication of our customers in the African market in many ways, including facilitating trade visits with West and Central African countries to capitalise on the strong African presence and strategic direction to promote African trade,” he added. Ragheb pointed out that these achievements are being realised despite the efforts made in other important steps, such as the brand change that took place in November 2017, and the integration of operating systems and information with the parent group, which is due to be completed by mid-2018. In 2017, Attijariwafa Bank Egypt participated in the financing of several syndicated loans amounting to EGP 1.3bn in strategic sectors. In addition, the bank participated in securitisation bonds for the leading companies in the market with total bonds worth EGP 217m. The bank also had a prominent role in the financing deal for part of the wind farm project in the Gulf of Suez, scheduled to produce 250 MW of electricity. Cooperation between the companies of the group was instrumental in completing this transaction, which was successfully managed by the three regional and international entities of the group.